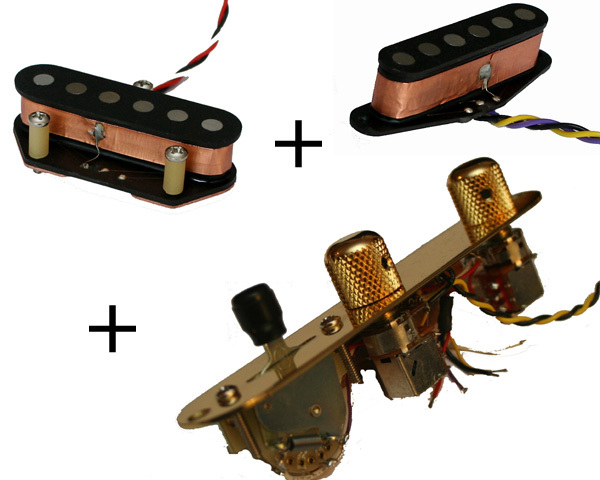 This is the set needed to get the Dream Machine Tele sound of Van Nuys days Schecters out of any T-style guitar. 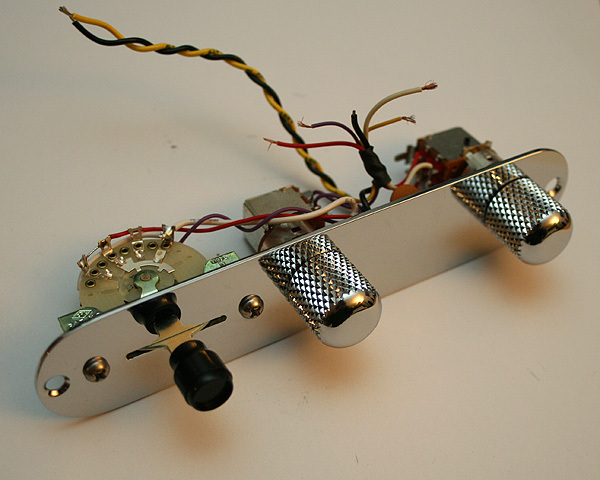 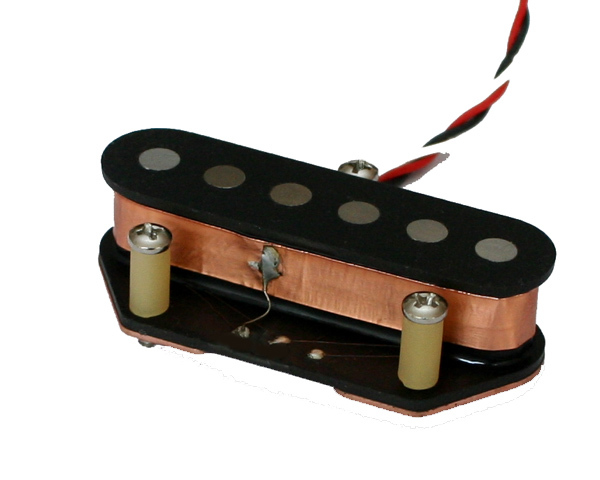 It includes the two "Walk of Life" tapped Tele pickups (made for us by Haeussel pickups), and the pre-wired control plate with the push/pull switches required for tapping the pickups, the right tone condenser, pots, and 3-way switch. 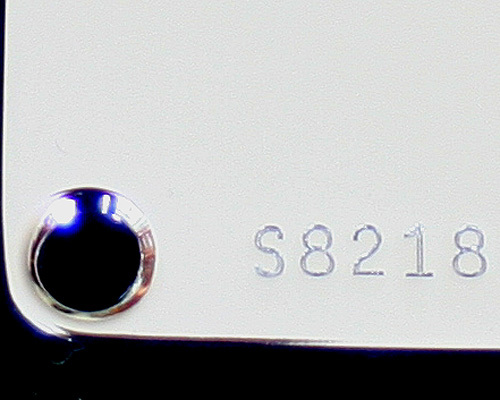 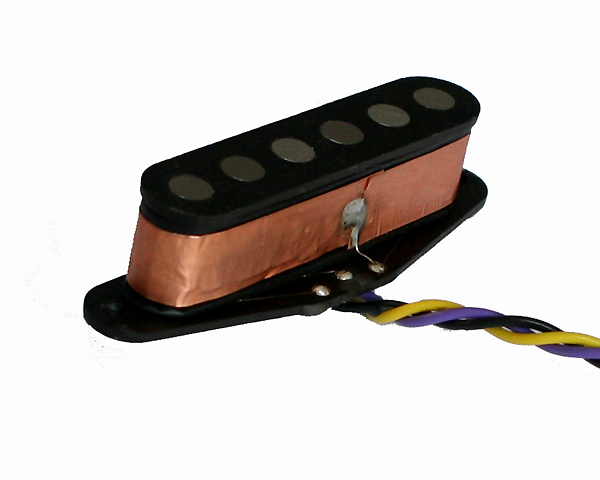 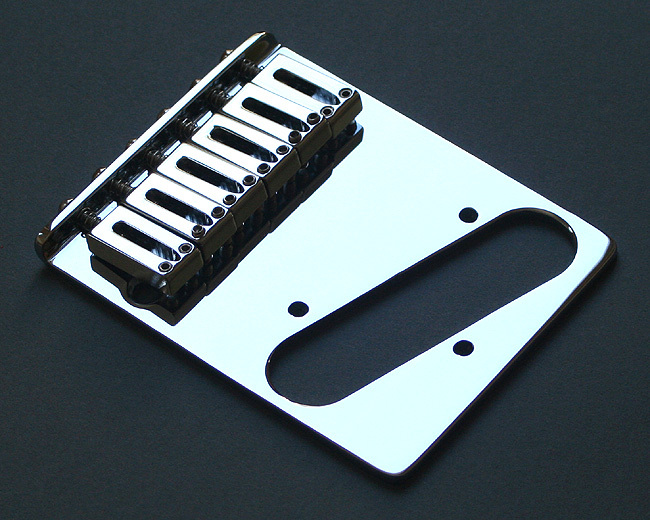 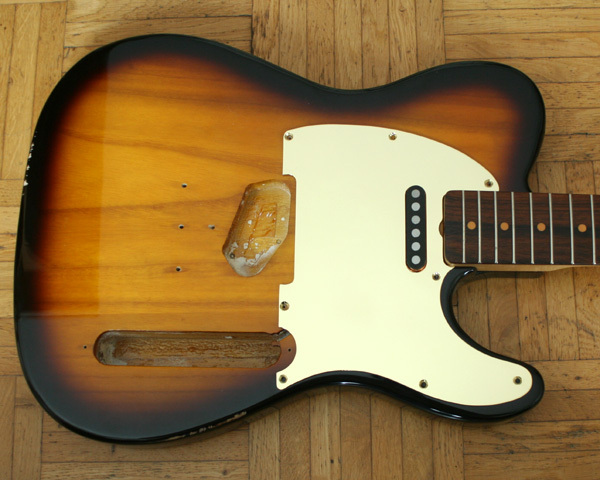 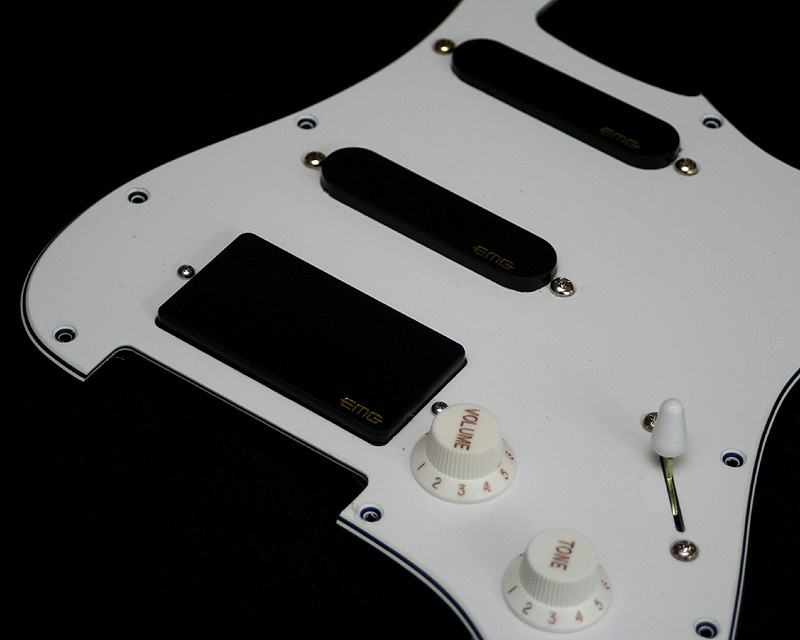 The set can be combined with a metal pickguard - important for the sound of the pickups. 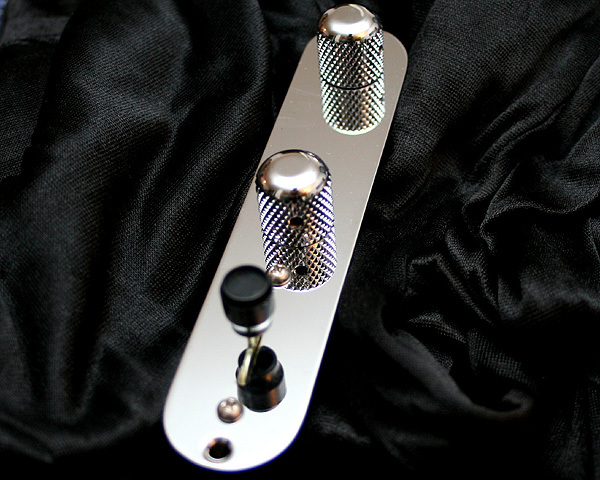 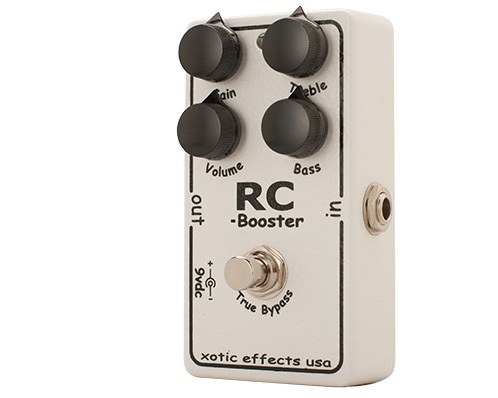 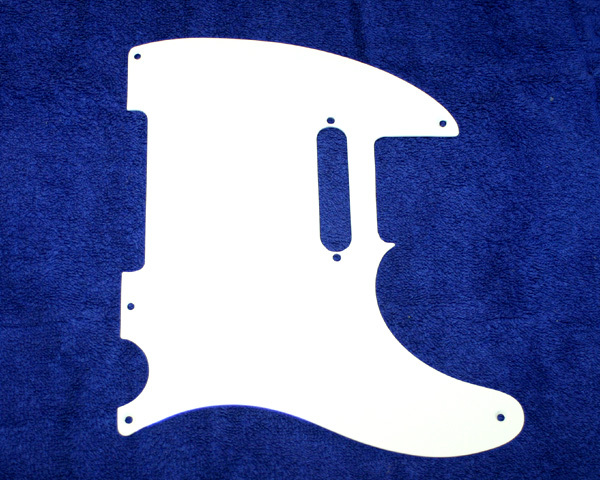 You can find the matching pickguard in white aluminium or clear-coated brass here. 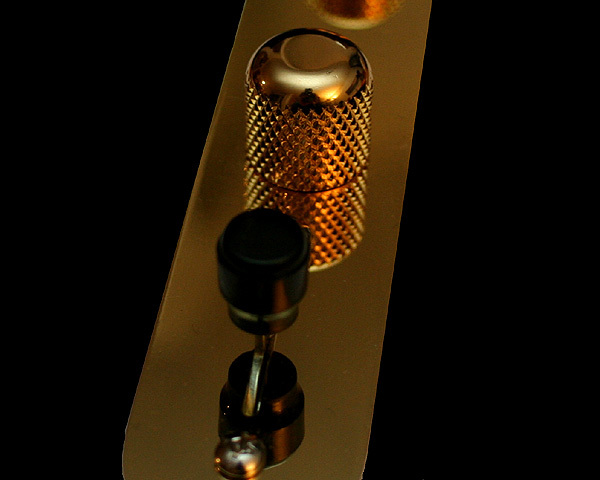 To ultimately get the sound, it is highly recommend to combine this set with the Walk of Life bridge made of bell brass.